Shiatsu massage is a powerful but gentle form of massage therapy that is suitable for all & it can support a large number of complaints. Most people can’t afford Shiatsu treatments as regularly as they would like so they look for lifestyle changes that they can make to support themselves, daily, between treatments. Because Shiatsu massage works with the energy in the body, getting it to flow & move with ease, stretching, meditation, diet & other lifestyle changes can help to keep the energy flowing, helping to alleviate complaints. At this time of year we should be resting as much as possible & if we are exercising it shou,d be gentle. When stretching it is always important to listen to your body & not push to far. Warming up is also important as is warming down. A great stretch to do at bedtime is the stretch relating to the Water element, relating to the 5 element diagnosis system that Shiatsu uses as one of its diagnosis tools. The water element governs sleep & rest as well as other things so bedtime is a great time to do it. It is a 2/3 minute stretch. Please see below for the the 2 steps in this stretch. If you are interested in knowing more about Shiatsu massage or would like to book an appointment with me in Exeter, Devon then please contact me through the contact me page. Daily stretching can help keep energy flowing in the body & it’s a recommendation that I give often to clients who want to support themselves between Shiatsu sessions. There are different ways & forms of stretching, sometimes strong stretching is important to a client, sometime restorative, yin stretching is appropriate. I try to stretch morning & evening & have found the evening stretching a little asker now I have included my kids in it. Every night we do this simple set of stretches, moving energy & calming down before bedtime. If you want to know more Shiatsu massage please contact me though the cintact me page. 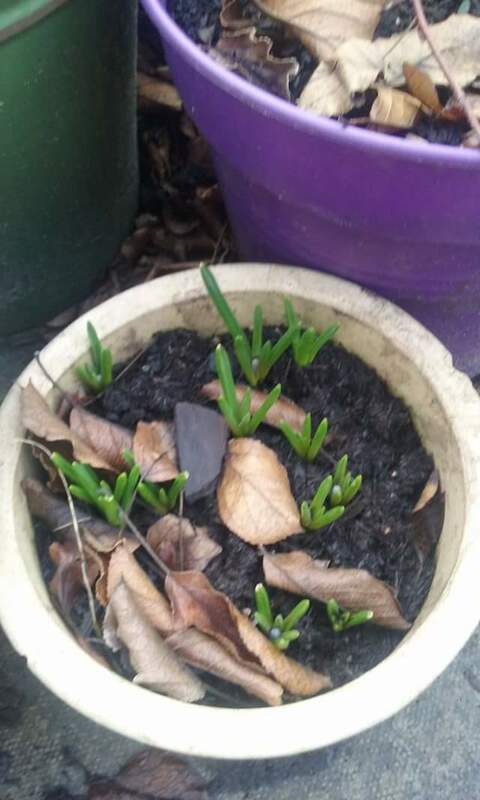 Ok so I am based down in the south west of England, in Exeter, Devon & I appreciate that further up the country & particularly into Scotland there aren’t the small signs of spring coming that we are seeing here.It has been wet here today, & we do get a lot of rain in Devon! So signs of warming up & a change of season are very welcome! In terms of Shiatsu diagnosis we are still very much in the Water element time of year. Quiet reflection & rest are vital in the colder months, storing & building energy for use over Spring & Summer. If we don’t rest now there is a possibility of burn out by the end of the warmer months. However it is now alright to start looking outwards & forwards a little. 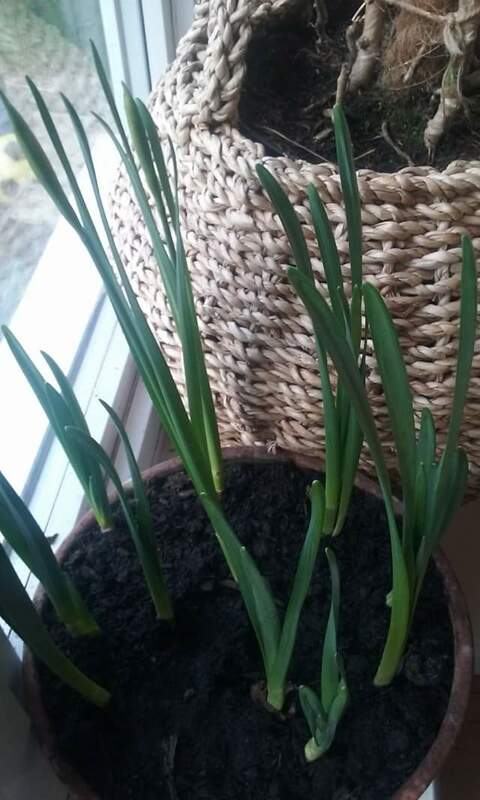 Being gentle & listening to our bodies & ourselves we can also start to send out our first tentative shoots, like the first plants of the year. If you’d like to understand more about Shiatsu & now it may be beneficial to you please contact me – through the contact me page. So I’ve had a lovely day – kid free – with old friends & family – taking photos of me giving a Shiatsu & some of the useful stretches that go alongside it – to support clients between sessions. Here’s a taster of some of the photos. I am really excited that I have a photo shoot on Saturday (if you can call it that!) – lots of new photos to help me promote the benefits of Shiatsu massage. Here’s an old photo – then can see how different the new ones are! I was in a conversation today with someone who was discussing how tired parents of young children get. Lack of sleep along with long relentless days, emotional & mental demands from the children & requests for support & attention. You feel like you are just getting back to some level of normality when an illness or growth-spurt strikes & you get knocked right back to pure exhaustion again! Its not just having children that can make people tired. There are so many of us, in our non-stop western society, that are running with a level of tiredness. Jobs that demand extra hours or unsocial hours, a 24 hour culture with regards to shopping & socializing, supporting family & homes to look after. So what can we do to help ourselves, to be less tired? (Well apart from Shiatsu massage of course!) We need to rest, particularly in these colder, darker days of winter. My conversation this morning began me thinking about how to get real rest. It is extremely difficult to do this within our busy lives. My thoughts were regular support & ‘me’ time, Shiatsu, massage, pamper days. Also retreat time, either at an actual retreat or at a health-club, or a holiday away without anyone else. The thing I decide I would do, to help me rest, was to be more regular with daily practice. Short spells of space can help to punctuate & regulate our busy lives. Meditation once or twice a day, yoga, Qi Gung or Tai Chi exercise for 5 or 10 minutes once or twice a day, resting with a towel over your eyes for 5 minutes a day. Sometimes my daily practise is consistent & in those times I do feel more rest & space. I think I may go & book a weekend retreat too though! If you are interested in finding out if Shiatsu may help your levels of tiredness please contact me through the ‘contact’ me’ page.